Please note: We offer additional items not listed in catalog. Don't see what you are lookng for? Just stop in or give our store a call (979) 245-2712. High Octane® ALLEVIATE™ Supplement for show cattle, pigs, lambs, and goats is formulated to support optimal pH in the digestive system of animals. It is estimated that over 80% of show pigs experience gastric health issues affecting overall performance. Acidosis (the result of low rumen pH) causes ruminants to be off feed with digestive stress. Gastric health and ruminal acidosis are exacerbated in the show industry due to feeding systems, management systems and the inevitable stressors of the show ring world. 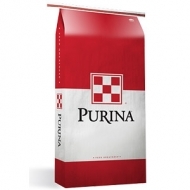 For more information and nutrient analysis on this product Click Here. 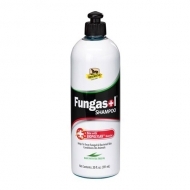 Shampoo cleans, washes, and removes debris, a great everyday shampoo in humid conditions. Fungasol® is proven to treat a range of fungal and bacterial skin conditions, making it a great first line of defense, even if the exact nature of an equine skin problem isn’t readily apparent. Clean, treat and protect your horse’s skin with a gentle formula that includes tea tree oil and a powerful Biopolysan® booster ingredient derived from coconuts to enhance the formula’s efficiency. For intramuscular use in swine over 300 lbs. 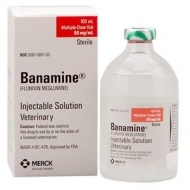 Indicated for the treatment of arthritis caused by susceptible organisms and for mycoplasma pneumonia. Bayou Classic® Gator Claws are the essential tool for shredding cooked pork, beef, chicken, and alligator. Comfortable soft-grip handles and stainless claws allow you to firmly hold meats to lift or carve. Bayou Classic® Stainless Grill Topper is the grilling essential to keep small delicate foods from being lost in the grill. Easily grill delicate types of fish, seafood, and vegetables. 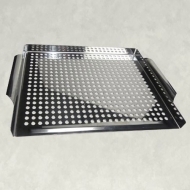 Perforations allow heat to circulate and add smoky flavor to your cuisine. Curved handles for an easy grip. Paraben & Phthalate FREE. Seaside with Regenesea, an anti-aging ingredient that helps to improve collagen, boost skin strength and smooth the appearance of wrinkles. The 12" Nut Wizard picks up slightly larger nuts, seeds, fruits, or balls between ½" and 1½" in diameter; we recommend it for small and large sized native pecans, white oak, and crab apples. 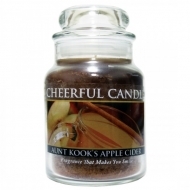 Assorted scents in 6oz and 20oz. 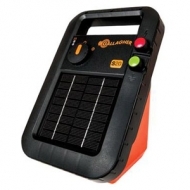 The S20 portable solar energizer powers up to 12 miles / 40 acres of a single wire fence with no vegetation and boasts several solar technology improvements that make it ideal for temporary grazing applications, livestock, and pet containment. 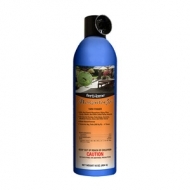 Kills and repels mosquitoes, biting flies, gnats, moths, and other listed flying insects. 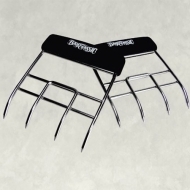 For use on porches, patio areas, screens, window frames, doors, and other areas. Water-based formula. 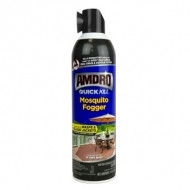 AMDRO Quick Kill Mosquito Fogger works the first time to kill mosquitoes including those that may transmit West Nile, Zika & Chikungunya virus by contact. This exclusive formula also kills other flying insects such as wasps and yellow jackets and is great for patios, porches & decks. 14 oz. Temprid FX combines the powerful, co-milled, dual-active formula you trust for knockdown and long-lasting control of hard-to-kill pests with a flexible label that delivers even more value. This strength and flexibility give you the added confidence to take on the toughest jobs, including notoriously hard-to-kill pests, like bed bugs, scorpions and spiders. 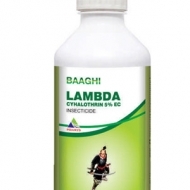 Nufarm Lambda-Cyhalothrin controls more than fifty of the toughest insects on a wide variety of crops. Outstanding control of a broad-spectrum of devastating insects. Fast acting control to limit damage from yield-robbing pests. Excellent residual control. Mixes easily and disperses in water. 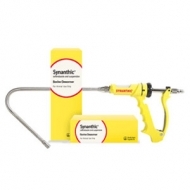 SYNANTHIC Bovine Dewormer Suspension is a broad-spectrum anthelmintic effective for the removal and control of lungworms, roundworms and tapeworms in cattle. 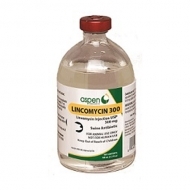 SYNANTHIC is fast, effective and available in a low-dose formulation. SYNANTHIC is readily absorbed in the gastrointestinal tract and goes to work rapidly to reduce parasite populations. 1000 ml. 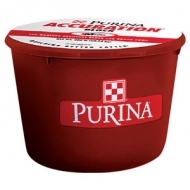 A premium, weather-resistant, protein tub formulated with a higher level of fat that is designed to provide additional energy to balance nutrient deficiencies in poor quality forages or for animals lacking energy in their diet. BOOMA keeps your reins from falling, so they’re always in reach. 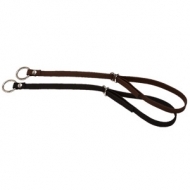 With BOOMA, you’ll never have to worry about losing the reins or the reins entangling your horse (ideal for beginners, experts, and competitors). BOOMA is flexible, so your horse can lower its head to eat or drink without restriction. With BOOMA, you can let go of the reins to take a picture, check your phone or help a fellow rider and your reins will still be there. Hoof-Heal's award-winning hoof dressing helps prevent brittle and dry hooves as well as encourages healthy hoof growth. 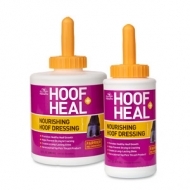 Hoof-Heal creates a flexible barrier that breathes and prolongs hoof protection. Ongoing use of Hoof-Heal helps keep the coronary band, heel, sole, and frog healthy and capable of handling impact without cracking. Plus, Hoof-Heal creates a long-lasting show ring shine! 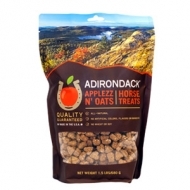 APPLEZZ N’ OATS Horse Treats are an everyday healthy, all-natural reward. You can offer them during training or whenever you'd like - just to show how much you care 1.5 lbs. The action provided from pouring out just one bag of Deer Candy is phenomenal! Hunter’s are reporting consistently they’re seeing the fastest and most intense accumulation of deer with this product they have ever seen! 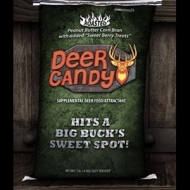 Take a Trail Camera and just one bag of Deer Candy and you’ll see for yourself. Action can get a little crazy using Deer Candy — like from one deer to a whole herd coming to the aroma in a very short time. A superior blend of Roasted Peanuts, Corn, Bran and our own little secret of Berry Flavors — with a smell so good, you will have to resist trying it yourself! Shuts rice bran down! 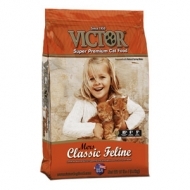 VICTOR® Mers Classic Feline formula is naturally formulated with an equal protein to carb ratio to maintain a healthy weight for normally active cats. With Omega 3 and Omega 6 for healthy skin and coat, and L-Carnitine to aid in the conversion of fat to energy, for lean muscle development. Fortified with Vitamin E and Selenium that work together as an antioxidant to support a healthy immune system. Healthy levels of fiber supporting digestion and satisfaction between meals and no artificial flavors, coloring, or preservatives. This formula contains the nutrients essential for supporting a healthy pet, specifically: vitamins, minerals, essential fatty acids, protein, and amino acids. 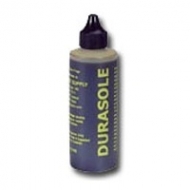 Durasole is an aldehyde-based sole dressing formulated to harden the equine exfoliating sole and frog. It is extremely effective in enhancing the protective capabilities of those structures and does not affect the proximal sensitive sole or frog. Durasole works by swelling and thickening the cell membranes of the exfoliating sole, not by coating the sole with impermeable oils. Durasole does not contain copper napthenate or any essential oils. Because of its unique formulation, Durasole can be used for extended periods of time on chronically thin-soled horses without fear of drying out the foot as it does not compromise the moisture balance of the foot when used as directed. Durasole creates a tough, natural, pad between your horse's sensitive sole and the world's often hostile environment. 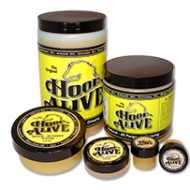 Hoof-Alive produces the best results imaginable with just one application per week! Hoof-Alive goes entirely through and into the hoof wall, or any other natural, live tissue. Our premium ingredients are wholly compatible with the live and sensitive blood and connective tissue beneath the wall's surface. By penetrating and becoming part of the hoof wall, Hoof-Alive makes the hoof virtually "weather proof" and impervious to the elements thus keeping the valuable Blood Moisture inside the hoof. 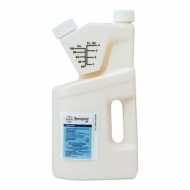 This creates a stronger hoof and promotes healthy hoof growth. Plus, No other hoof dressing is used all over the horse, not just on the hoof: Saddle sores, rope burns, abrasions, cinch sores, cuts – just to name a few. Long story short, you need and can use Hoof-Alive for something everyday. Cajun Fire Starter - "Mini"
The Cajun Dragon "Mini" comes plug-n-play to the small (green) 1lb. camping propane cylinder. This "Mini" will do everything the "Original" and "Deluxe" will do and is completely portable. 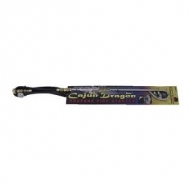 If there is a need for a fire of any kind in the outdoors the Cajun Dragon will quickly do it. This propane fire starter works great for starting a fire in your fire pit, bon fire, BBQ pit, or smoker. Other uses include burning weeds, fields, brush piles, etc. It works well for cooking over which eliminates the need to have other appliances such as a portable gas stove. 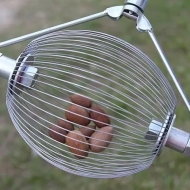 This device can also be used to cook over in your charcoal BBQ pit, simply slide it in the pit and start cooking.